There is a place in southeastern Oregon where the Steens Mountains loom over the landscape. Very few people live in the wild wondrous place so few have seen the mythical herd of wild horses that are descendants of the Andalusian horses the Spanish explorers brought in their search for gold. I've only seen a picture of them one time in my life. Their long unruly mane flow over the side of their necks attesting to their wild and illusive nature. When I looked at the website for the region this morning I see no mention of them. 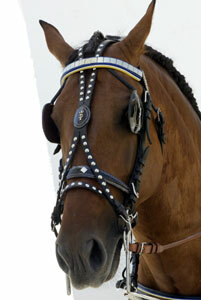 For someone like me to even see such a horse was a dream or maybe I dreamed the whole thing! I was reminded of that dream when I saw an article on the Lonely Planet website this last week. The article was about 10 unsung out of the way places that people are missing when they travel. Jerez de la Frontera was number nine on the list. When my husband and I along with friends took our very first trip to Europe twelve years ago, our friend asked what we wanted to see above anything else. Each person took their turn...The Alhambra, Rhonda, Seville. 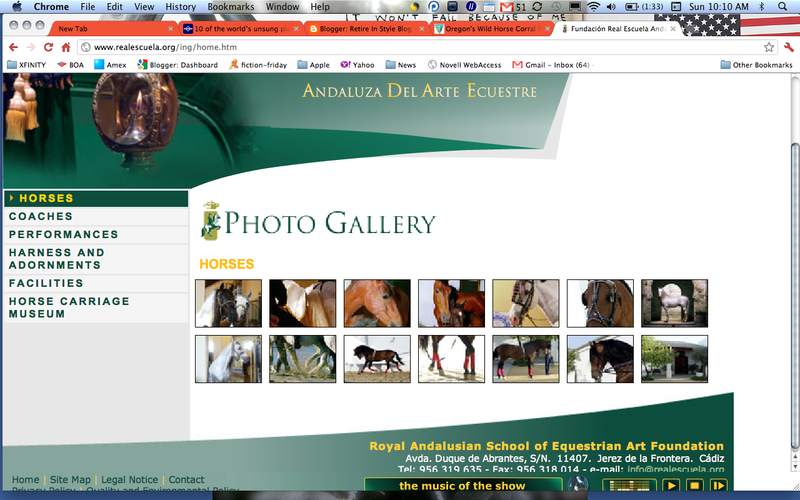 I wanted to see the Andalucian horses at the Royal Academy in Jerez de la Frontera. It was not on the beaten track but somehow we managed to go there. Royal Andalusian School of Equestrian Art is perhaps one of the finest examples of living art you could ever see. The afternoon we found the academy in Jerez was warm and horses were in corrals where you could approach and even touch them. We purchased tickets to watch the show in an arena on the grounds. Classical spanish guitar music filled the space and as the horses began to perform we could not help but be filled with the awe. Jerez is that kind of place. It is famous for not only the Royal Academy but also for being a city that produces sherry in bodegas and of course the flamenco. 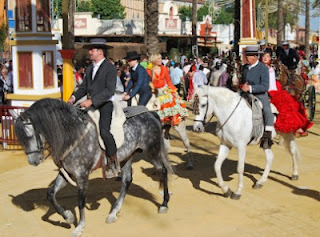 When Lonely Planet listed Jerez de la Frontera as one of 10 unsung places I was surprised. I have been singing it's praises for 12 years now!